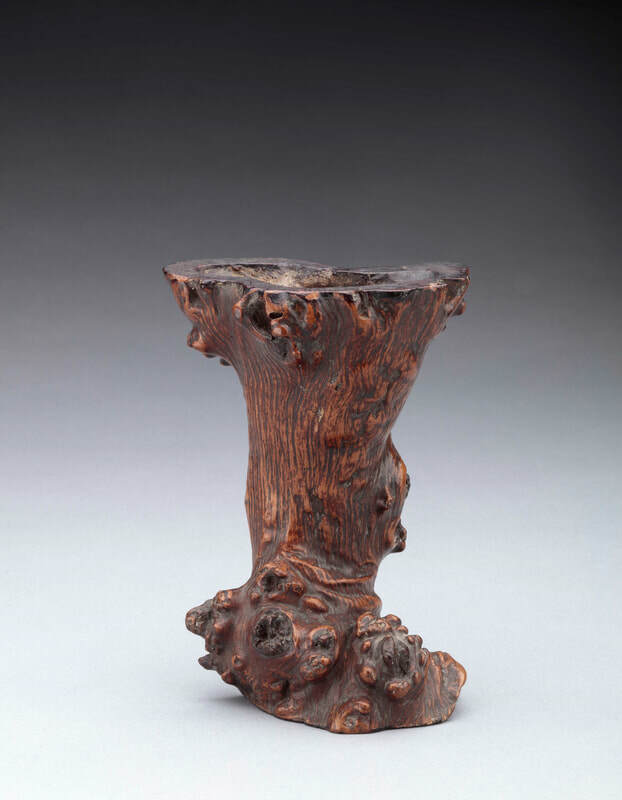 Root-form brushpot with brown lacquer. Qing dynasty, 18th century. 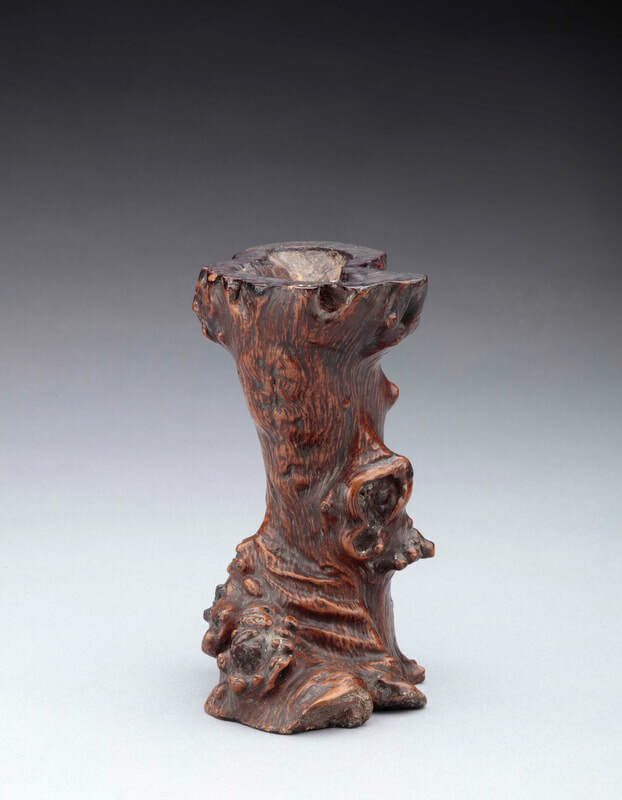 A small brushpot formed from a natural root. The twisting form overhanging one side is counter-balanced by the foot. The flat lip and foot covered with an opaque brown lacquer. 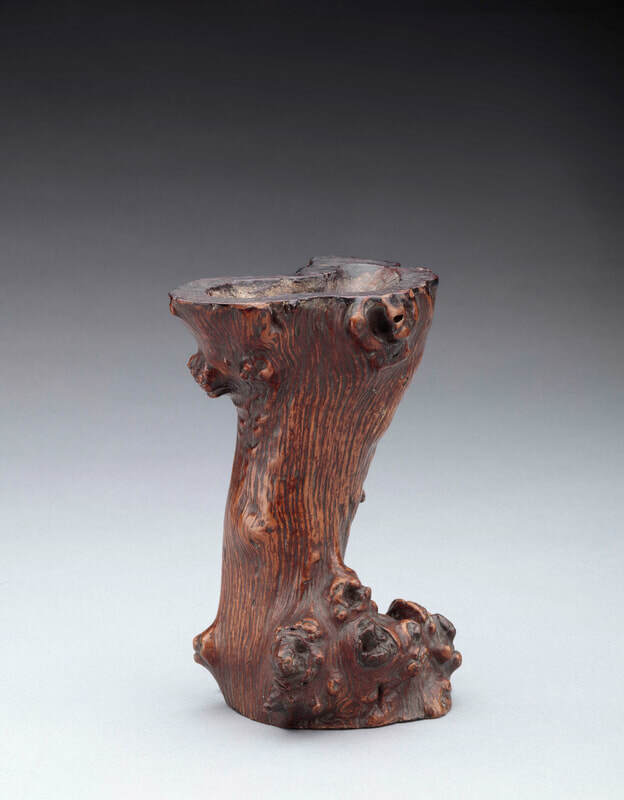 Robert Piccus, ed., Wood from the Scholar’s Table: Chinese Hardwood Carvings and Scholar’s Articles(Hong Kong: Altfield Gallery,1984), no. 28.